Carina® XwellXpress Real-time Frac Performance & Strain Monitoring | Microseismic & Poro-elastic Strain Monitoring | Silixa Ltd.
Silixa’s Carina XwellXpress crosswell low frequency strain and microseismic monitoring service accurately locates microseismic and strain events in real-time through wireline intervention, allowing operators to improve stimulation and completion designs to maximise recovery. The engineered Carina® Sensing System has 100x improvement in signal-to-noise ratio, and greater than 100x improvement in the lower frequency ranges of slow strain and microseismic compared to other DAS systems. 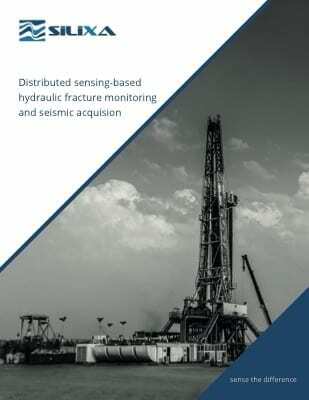 It can detect changes in low frequency strain induced by the development of the fracture network while simultaneously detecting microseismic events and crosswell frac hits, if present, due to its unparalleled sensitivity. The measurement of cross well strain and specifically the poro elastic effect of rock movement or strain has not been measured with an intervention cable until now. 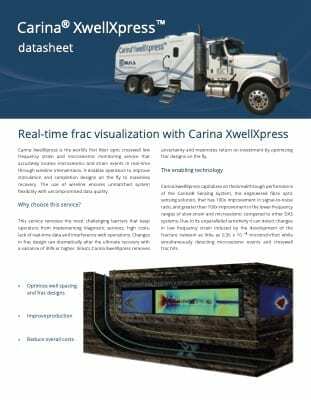 Carina XwellXpress allows for the monitoring of the entire wellbore at the same time in real-time enabling the visualization of effects modelled and understood but not measured to date. 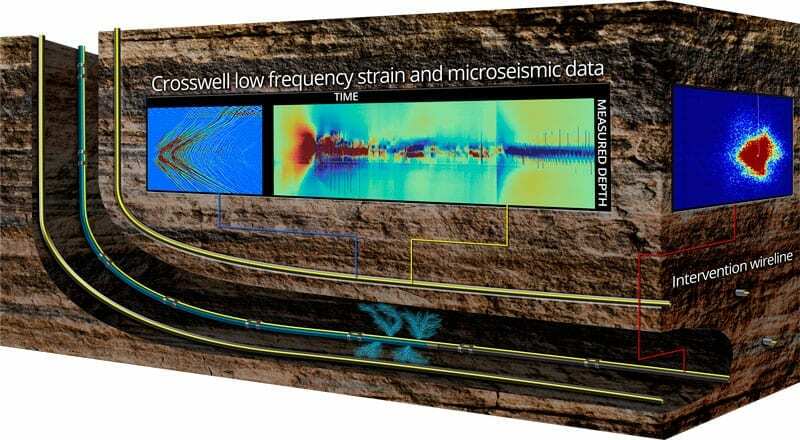 In addition, the outstanding signal-to-noise ratio of the system will allow high resolution 4D VSP data to be quickly acquired in the short period of time available between frac stages. Time-lapsed VSP surveys will lead to better understanding of stimulated reservoir volume. Multiple interventions can be easily conducted during the frac program giving simultaneous co-location of events to accurately map the development of the fracture network. Conventional crosswell monitoring and microseismic surveys require the use of geophones in observation wells, typically 12-40 receivers. With this technology either the receiver spacing, array length, or both, will be less than optimal. 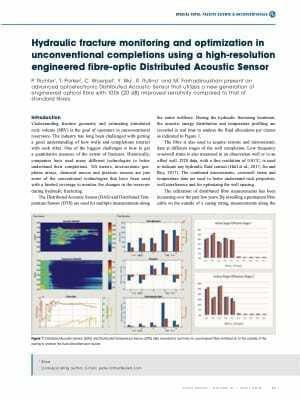 Carina XwellXpress is a distributed acoustic sensing-based system that captures acoustic energy every metre along a Constellation™ fibre equipped sensing intervention wireline cable. The intervention cable can be deployed into any well not being treated at the time, turning it into an observation well. The use of wireline does not compromise data quality; data can be acquired along the entire length of the intervention cable unlike the limited aperture of a geophone array. Carina XwellXpress intervention cables can be deployed using conventional pump down or tractor technology. 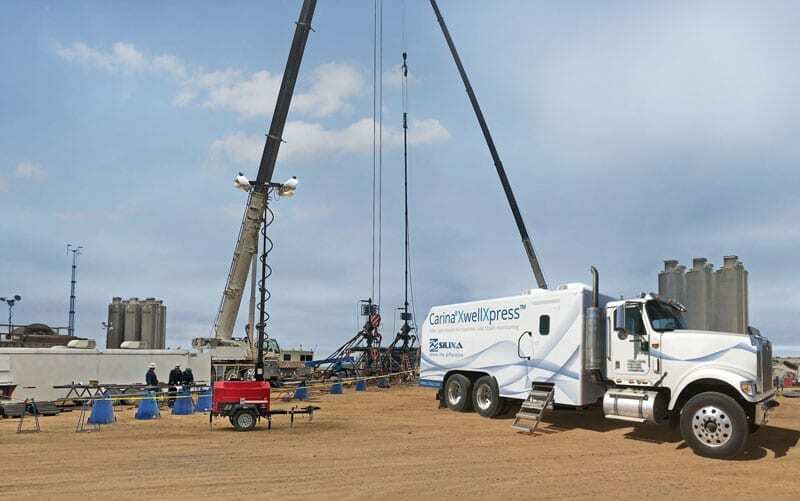 In this fashion wells can be chosen during the job to map crosswell strain, locate microseismic events, and collect key seismic data to gain a better understanding of completion design effectiveness and the actual fracture geometry. The intervention cable with enhanced Carina Sensing System measurements can be used as desired over the life of the well.